Baird, an international employee-owned financial services firm, today announced that it has added Curtis Goot and Frank Murphy as Managing Directors to co-lead a new Energy Investment Banking Team. The new team will focus on oil and gas exploration and production (“E&P”) companies and master limited partnerships (“MLPs”). Baird’s announcement represents the first of several planned expansions in the Energy sector, including additional talent on the new Energy Investment Banking team and the establishment of E&P and MLP Equity Research teams to provide a broad Equity Capital Markets focus on the sector. 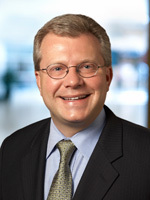 Goot and Murphy were both previously Managing Directors at Wells Fargo Securities. Prior to Wells Fargo, they founded and led A.G. Edwards’ highly successful Energy Investment Banking Group, which became a part of Wachovia in 2007. From 2002 to 2007, A.G. Edwards was the most active manager of MLP offerings, the leading book runner of MLP IPOs under $100 million, and a leading manager of E&P equity offerings. Also joining the team is Kjell Lundal, Vice President. Lundal worked with Goot and Murphy at A.G. Edwards and was most recently with the Investment Banking group at National City Capital Markets. “We are excited to have Curtis, Frank and Kjell join our team,” said Steve Booth, Director of Baird’s Investment Banking group. “Curtis and Frank established a tremendous Energy team at A.G. Edwards and are known for their innovation, integrity and strong client focus. Those qualities make them a natural fit for Baird. With the addition of the Energy team, Baird’s Investment Banking group now operates 11 different sector teams: Business Services, Clean Technology, Consumer, Distribution/Supply Chain, Energy, Financial Services, Healthcare, Industrial, Real Estate, Technology and Utilities. Recognized as the 2008 “Middle Market Investment Bank of the Year” by Buyouts magazine, Baird is a leading international investment bank focused on the middle market. Approximately 140 investment banking professionals in the United States, Europe and Asia provide corporations with in-depth market knowledge and extensive experience in merger and acquisition and equity financing transactions. Since 2000, Baird has advised on more than 330 M&A transactions representing more than $40 billion in transaction value, and has served as lead or co-manager on more than 300 equity offerings raising more than $73 billion. Baird has received “Deal of the Year” recognitions from The M&A Advisor for five years running and has been recognized as the “Manufacturing Sector Adviser of the Year” by Acquisitions Monthly for the past three years. Baird is an employee-owned, international wealth management, capital markets, private equity and asset management firm with offices in the United States, Europe and Asia. Established in 1919, Baird has more than 2,400 associates serving the needs of individual, corporate, institutional and municipal clients. 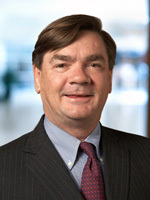 Baird oversees and manages client assets of more than $75 billion. Committed to being a great place to work, Baird ranked number 11 on FORTUNE’s “100 Best Companies to Work For” in 2010 -- its seventh consecutive year on the list. Baird’s principal operating subsidiaries are Robert W. Baird & Co. in the United States and Robert W. Baird Group Ltd. in Europe. Baird also has operating subsidiaries in Asia supporting Baird’s private equity and investment banking operations. For more information, please visit Baird’s Web site at www.rwbaird.com.